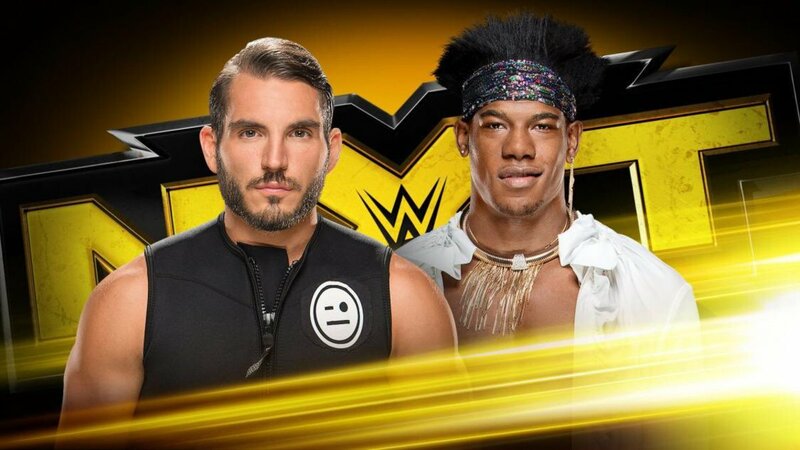 The Big News: Johnny Gargano not only remained number one contender by submitting Velveteen Dream, he also ended the show by laying out the NXT Champion. The Medium News: Ember Moon and Shayna Baszler are ready to tear each other limb from limb on Saturday. The Little Beaver-sized News: Both No Way Jose and Bianca Belair returned and picked up victories. Earlier today, Velveteen Dream cut a promo about how everyone dreams of being NXT Champion, including Johnny Gargano. Dream said Gargano one day may be champion, but now is time for the Dream. He said that no matter how the pieces fall tonight, Gargano's dream will be over. The go-home show for TakeOver kicked off with No Way Jose, who has not been seen much since Lars Sullivan destroyed him in 2017. Once upon a time, Bononi defeated Andrade “Cien” Almas, which was actually what led to Zelina Vega taking over the career of the future and current NXT Champion. I still don't know why it was okay for No Way Jose to party all the time, but it was frowned upon for Almas to party at night. The highlight of this match was one fan trying to start a CM Punk chant and literally everyone else in the arena booing him down. Not to say this match was bad, it wasn't, it was your typical NXT opener. Bononi, who has had little character development, was the easy heel and the fans were into Jose, who won with a pop-up punch to the face. They aired a video package building up the Adam Cole-Aleister Black extreme rules match on Saturday. It centered around their original match and Cole stopping Black from winning the number one contender's fatal four-way a month ago. This was a good showcase for Belair, who is being built up as “The EST” meaning she is the greatest, fastest, and strongest. Latoya wrestles as Luscious Latasha. Latoya looked good here, but this wasn't about her and it was all over for her when she came off the middle rope and got whipped with Belair's braid. Belair then picked up the win with the falling powerbomb. We had a pre-taped promo where Percy Watson interviewed Ember Moon and Shayna Baszler ahead of their title match on Saturday. Moon called Baszler out on trying to injure people as opposed to winning based on her own merit. She mentioned "the code" where they win via skill and show sportsmanship. She said Baszler will not win on Saturday. Baszler laughed, then said Moon achieved her dreams. She started at the bottom and now here she is. Baszler said the difference is she doesn't care if people know the struggles she went through. Baszler vowed that this Saturday she will walk out with the title. Watson asked her to share something with the NXT Universe. Baszler said she doesn't care if people know anything about her, they just have to get used to it. Next up we got part two of "Who are TM61?" Just like part one and just like the other video packages they've done, with Finn Balor and Roderick Strong, this was really good and well worth checking out. The most surprising part is Harley Race was on for a few seconds saying they will be the best team ever. Anyway, they will be in action next week. This Saturday night, AOP will attempt to become two-time NXT Tag Team Champions when they challenge Bobby Fish & Kyle O'Reilly for the titles. We didn't actually have a match -- instead they destroyed Brown and Smith before cutting promos about what they will do to the Undisputed Era. Gargano won the number one contender's tournament. However, he was only put into the tournament because Dream was injured and couldn't compete. When Dream came back, he wanted a shot at the title and Gargano agreed to put his title shot on the line. The winner will challenge Almas this Saturday for the NXT Championship. There were loud dueling chants of “Johnny Wrestling” and “Velveteen” as the match began. The match started with mat wrestling and Dream stayed with Gargano during it, which surprised people. Dream gloated, so Gargano slapped on the Gargano Escape, but Dream was able to get to the ropes and roll outside. Gargano was more aggressive than usual, following Dream outside, slamming him onto the announce table, and then doing a flipping dive off the ring apron. Dream finally took over when he caught Gargano on a slingshot spear and hit a flipping neckbreaker. Dream teased doing a top rope dive to the floor, which got the crowd's eyebrows raised since he normally doesn't do such moves, but instead he jumped back down to the crowd's dismay. Gargano came back and used a jumping STO from the middle rope, but only got a two count. They traded finisher reversals until Dream hit a twisting DDT, but somehow Gargano kicked out. Dream hit a Death Valley Driver from the middle rope for the closest of near falls, which got the entire crowd behind Johnny Wrestling. Finally, Dream went for the Purple Rainmaker, but Gargano got his knees up and then submitted him after a Gargano Escape! Gargano retains his number one contender status and now will definitely challenge Almas at TakeOver: Philadelphia. Almas came out to the ring to confront his challenger. He tried to cheap shot Gargano, but Gargano was expecting it. However, the champ got the best of it and sent Gargano outside the ring. Johnny Wrestling dragged himself to his feet and dropped Almas with a slingshot DDT before posing with the championship belt. Not announced on the show, but on the NXT conference call with Triple H today, it was revealed that Dream will go one-on-one with Kassius Ohno at TakeOver. That does it for this show. Check out TakeOver on Saturday, and until next week, thank you for reading and remember to say your vitamins and take your prayers!